Sparkle is now lovingly owned by Diane, and joins Radar and Jagger as her constant companions! 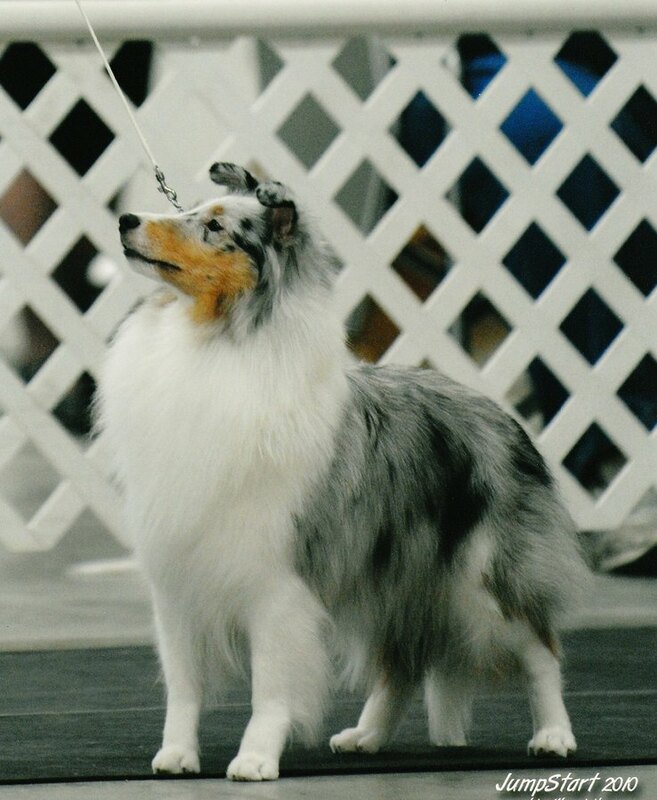 Above: BW under breeder-judge Laura Thompson. Love that tail that touches the ground! 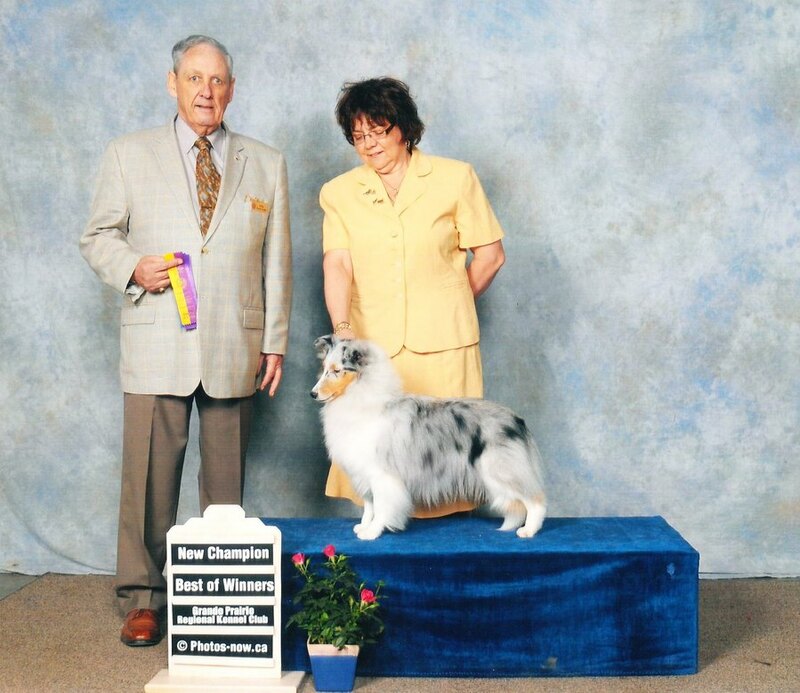 Below: BW, new champion the next day, judge D. Eadie. 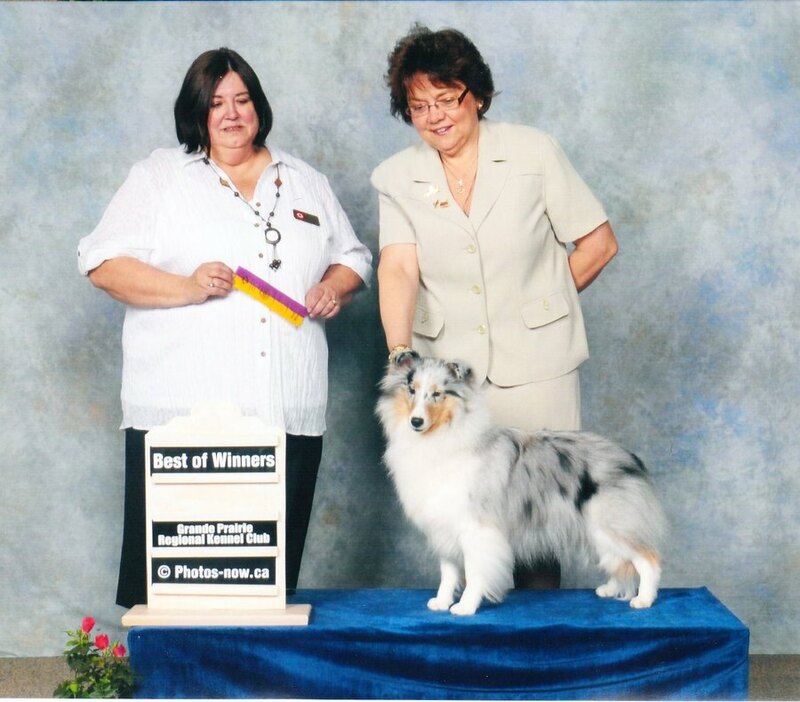 Many thanks to Sparkle's handler, Margaret Zacher, for presenting her so beautifully. 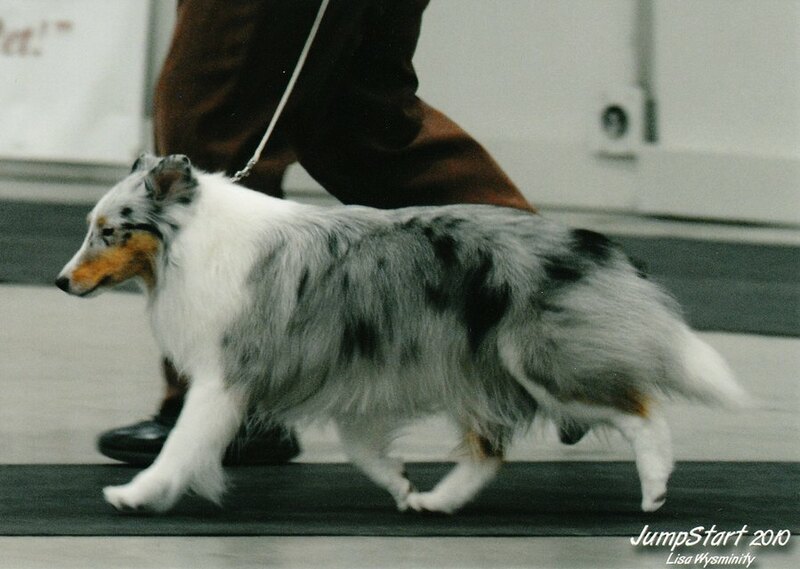 Sparkle was co-bred with Brenda Muddle, Mudels Shelties. She is 14 3/4 inches tall. Sparkle was entered at her first 2 days of shows at Grande Prairie, and earned BW/BOS for her first 3 points from the Bred By Exhibitor class!